We are a small animal veterinary hospital that strives for personal service and client education to help you take the best care of your pet. From the moment you enter the Animal Hospital of De Pere you will know your pet is going to receive the best care possible. We are a full service animal hospital serving De Pere, Green Bay and many of the surrounding areas providing inpatient and outpatient care. Whether your pet needs vaccinations, boarding, spay or neutering, dentistry or day to day preventative medicine, our veterinarians and veterinary staff can help! 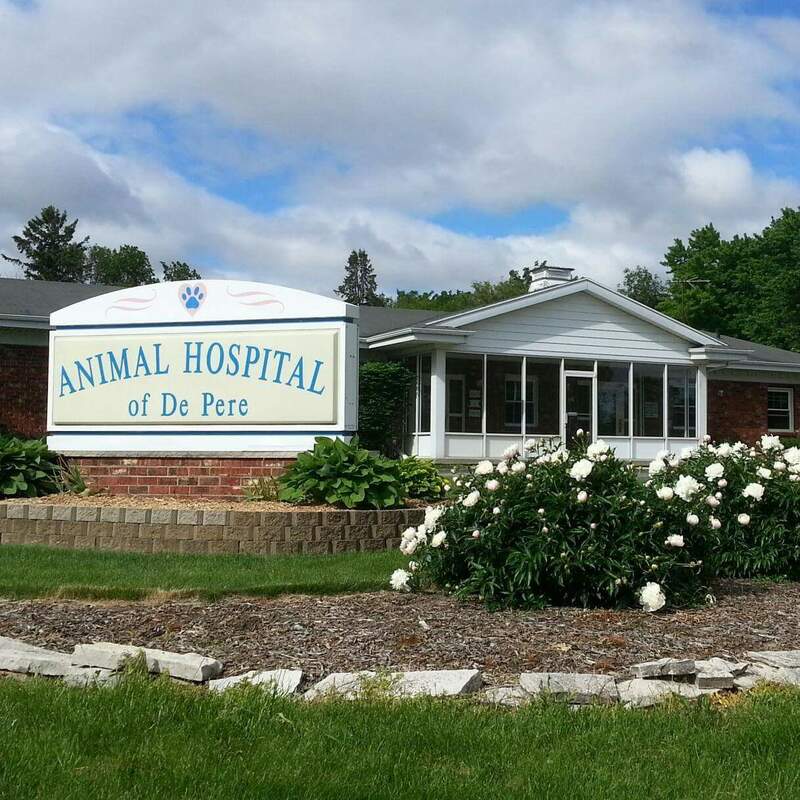 Our team of professionals at the Animal Hospital of De Pere are skilled at providing compassionate care and are ready to respond quickly and competently. Remember, at Animal Hospital of De Pere, we care for your pets because they are family! We have competitive prices and rebates available for Heartgard and Frontline products!